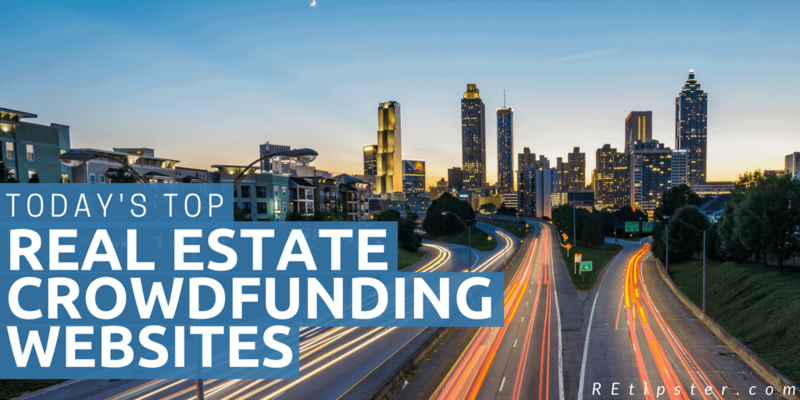 If you've ever dreamed about investing in real estate, but had no idea where to start (or whether you wanted to deal with all the headaches that come with the trade), you owe it to yourself to get educated about real estate crowdfunding. In recent years, several new crowdfunding and peer-to-peer lending platforms have popped up online, offering some fascinating new ways for investors to diversify their retirement savings by putting their money to work in real estate. Considering the advantages that real estate has to offer (e.g. – income, appreciation and tax benefits, to name a few), this is something that may be worth a closer look at. To most people, the concept of crowdfunding as an investment strategy is still a fairly new idea. Back in mid-2012, the JOBS Act was signed into law with bipartisan support, which opened the door for broad solicitation of private investments, which is why all of these crowdfunding websites started popping up around this period of time. With the passing of the JOBS Act, “accredited investors” (individuals with a net worth exceeding $1 million or more OR an annual income exceeding $200K for at least two years) are now able to invest in smaller portions of real estate deals through crowdfunding and peer-to-peer lending. A lot of people LOVE the idea of investing in real estate, because of the tax advantages, the ability to use other people's money to build their fortune, the diversification opportunities (getting into something other than another boring mutual fund), and the ability to actually see their money at work in a brick and mortar building. The problem with real estate investing is, most conventional properties require hundreds of thousands (if not millions) to acquire and/or develop. Even if you're a multi-millionaire, unless you're getting a truly remarkable deal, it usually isn't pragmatic to acquire an entire property (and all the debt associated with it) all on your own. Taking on a massive project like this by yourself requires a lot of work, due diligence, debt, risk and hassle – and most people aren't cut out for it. This is where the beauty of crowdfunding comes into play. By participating in a real estate projected financed through crowdfunding, you can be one of MANY different financiers or equity holders to invest a small portion into the overall project. Rather than putting down ALL the cash it would take to acquire a $1 million building, you can invest in smaller “chunk” of the project – like $5K, $10K or $20K (depending on the project, and which website you're working with). The projected returns on these types of deals can vary quite a bit, but from what I've seen in the various sites I've explored, the numbers tend to range from 8% (at the lower end) to as high as 14%, and they fluctuate based on the level of risk associated with the deal, and the type of project it is. These projects are being financed with at least one (and sometimes multiple) loans, and a portion of the overall loan proceeds are coming from the money you invest. Your funds are essentially being borrowed by a real estate investor/developer, and assuming all goes as planned, you and all the other investors will eventually get paid back by the borrower with interest. Most (though not all) of the debt deals I've seen tend to have an earlier maturity date (e.g. – 12 – 24 months), allowing the investors to pull their money back out in a shorter period of time. A maturity timeline of 1 – 2 years is fairly common, but with the faster turnaround, the return is usually along the lower end of the spectrum. Equity investments put investors in an indirect ownership position, which allows them to participate in the property’s excess cash flow AND any appreciation that happens when the property is eventually sold. These investments are usually for longer periods of time (3 – 5 years), because these projects typically involve extensive renovations to the property or other “value-add” efforts by the borrower. These investments typically involve quarterly cash flow distributions and have certain tax advantages. There are actually some different types of “equity” available with these types of projects, often referred to as “common equity” and “preferred equity”. In terms of risk – common equity investors are the most vulnerable to lose in the event of a deal falling apart, which makes this one of the riskiest investments among the different product types. If the property’s value fails to appreciate or generate sufficient cash flow to cover the debt and preferred equity hurdle rates, the common equity investors get hit first and could experience a negative return. On the same coin, common equity deals typically involve a “preferred return” (often 7-10%), which is payable to investors on a quarterly basis. These investors also get to share in any appreciation (or depreciation) upon the sale of the property – which generally causes equity investments to have the highest potential return among the various investment types. Preferred equity deals share some similarities with both debt deals and common equity deals. 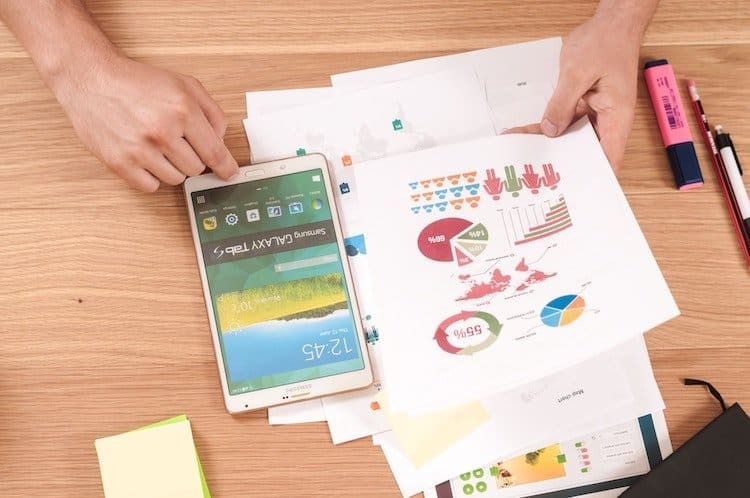 With this type of investment, the investor has an indirect ownership stake in the property, but since it's preferred equity – these investors will also be in better position in any bankruptcy scenario. Similar to debt deals, preferred equity involves fixed terms and regular payments (typically monthly) and it is treated like debt for tax purposes. In terms of risk – preferred equity deals are somewhere in the middle, between debt deals and common equity deals. In the event of default, preferred equity holders get paid before the common equity owners, but after the debt holders. Preferred equity projects typically have a payback term of around 2 – 3 years, which is longer than most debt deals, but shorter than most equity deals. The important point to remember is, there is always a risk of loss in a crowdfunded real estate deal. Just like any real estate investment, there are no guarantees that the projected numbers will pan out exactly as planned. This is part of the value proposition that crowdfunding brings to the table. With the ability to invest smaller portions of money in multiple projects, it becomes much easier to mitigate your overall risk. If a $5,000 investment goes sideways, it won't be nearly as catastrophic to a single investor as a $1,000,000 investment going sideways. 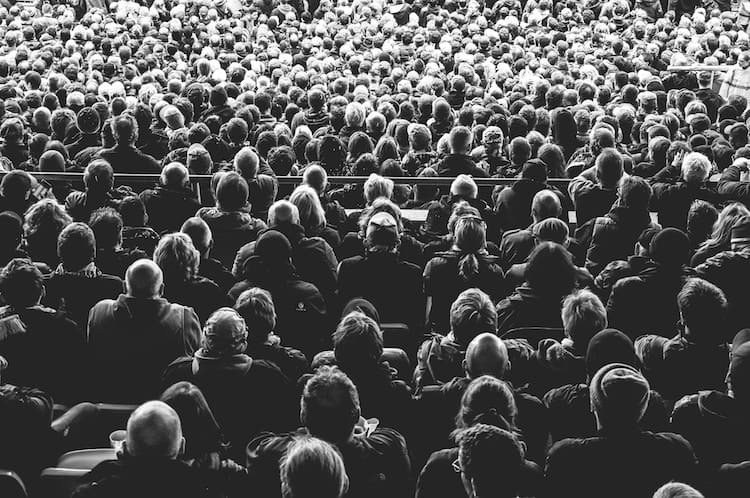 Crowdfunding is something you can use to spread out your investing activity, which makes it ideal if you have no experience in real estate OR if you're already running a profitable real estate investing business. In either case, it's an investment strategy that allows you to simply pony up the cash and let someone else do all the number-crunching and grunt work for you. Which Websites Are Worth Investigating? As I've been keeping my eye on this space over the past couple of years, I've looked into several different websites that are doing some pretty cool, innovative things for this emerging industry. The ones I'll be talking about here certainly are NOT the only ones out there, but from what I've seen, they've all generated a fair amount of buzz and interest in the industry. It's also worth noting that I have invested with some of these platforms, but not all of them. I can't offer much feedback on how their deals are vetted or how my returns have panned out with each one, but I can give a fairly decent overview of how each website is laid out and how easy it is to get started with each one. Affiliate Disclaimer: There are also some affiliate links in this blog post, which means if you sign up for an account through these links, it will generate a small commission to support the REtipster Blog. I mention these websites because I think each one brings value to the market, not because of the small commissions this website will make if you decide to work with one or more of them. Please do not invest your money unless you feel these companies will help you achieve your goals. RealtyShares began operating in 2013. More than $500,000 has been invested through the RealtyShares platform since its inception. More than 1,100 investments have been funded on the RealtyShares platform since its inception. RealtyShares has over 57,000 accredited investors that can evaluate projects. RealtyShares averages around 55 investors per deal. The average investment size is $12,000 per investor. Since inception, RealtyShares has returned $83.2 million in total principal. RealtyShares has processed deals in 39 states. From what I've seen, RealtyShares seems to be one of the more robust real estate crowdfunding platforms on the market today. This company started in 2013 and has completed a lot of deals to date. They offer a great source of alternative financing AND investment opportunities for those who want to get involved with this kind of investment opportunity. RealtyShares also has a great referral program. If you're an investment advisor or you want to let others know about RealtyShares as an alternative way to invest, you can refer others to the service and get paid for each person you refer. You can learn more about how it works on this affiliate sign up page. Disclaimer: The information contained herein neither constitutes an offer for nor a solicitation of interest in any securities offering; however, if an indication of interest is provided, it may be withdrawn or revoked, without obligation or commitment of any kind prior to being accepted following the qualification or effectiveness of the applicable offering document, and any offer, solicitation or sale of any securities will be made only by means of an offering circular, private placement memorandum, or prospectus. No money or other consideration is hereby being solicited, and will not be accepted without such potential investor having been provided the applicable offering document. Joining the Fundrise Platform neither constitutes an indication of interest in any offering nor involves any obligation or commitment of any kind. The publicly filed offering circulars of the issuers sponsored by Rise Companies Corp., not all of which may be currently qualified by the Securities and Exchange Commission, may be found at www.fundrise.com/oc. Fundrise was founded in 2010. Since inception, Fundrise has originated more than $250 million in both equity and debt investments deployed across more than approximately $1.4 billion of real estate property. As of July 24, 2017, their equity and debt originations have been deployed across approximately 110 real estate transactions. Fundrise has over 150,000 users on their platform. Accreditation is not a requirement to invest in the eREITs or eFunds, as their mission is to democratize access to high-quality private real estate investments. Fundrise is a bit different from the other websites listed here because the investors don't invest in one specific property. Instead, their funds are invested into a pool of properties, from which they earn a return (with a maturity date of approximately 5 years). What I like about Fundrise is that they don't require their investors to be accredited (i.e. – you don't have to already be filthy rich or make tons of money to get involved). I was able to invest as little as $1,000 on the site earlier this year and to date, the funds have earned an approximately 8% return (of course, that's just my experience – yours will probably vary to some degree – but that's what I've seen so far). EquityMultiple began operating in 2015. More than $14 million has been invested through the EquityMultiple platform since its inception. More than 30 investments have been funded on the EquityMulptiple platform since its inception. EquityMultiple has a nationwide network of over 5,000 accredited investors that can evaluate projects. EquityMultiple averages around 30 investors per deal. The average investment size is $25,000 per investor. EquityMultiple has processed over 40 properties in 15 states. Institutional Focus: Their partnership with Mission Capital (an established real estate advisory firm in Manhattan) gives them access to larger, more exclusive commercial projects. 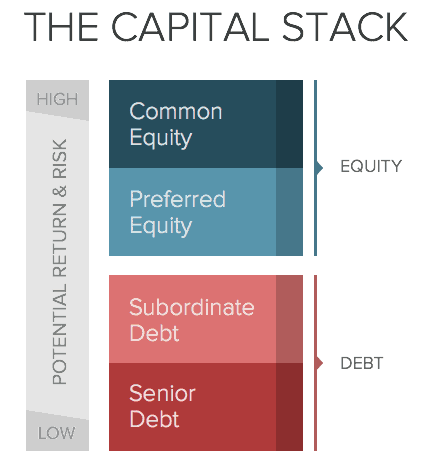 Combination of Equity/Preferred Equity/Senior Debt: EquityMultiple is one of the few platforms that consistently offers all three, which gives investors a nice range of risk/return profiles and hold periods, which helps promote diversification. Debt Syndication: RealtyShares, for example, offers a debt product by acting as the lender. The EquityMultiple model is to work with established lenders to “syndicate” a preexisting loan. Since they do their own diligence on the lender, the borrower, and the project, they feel that this best protects investors by giving them an extra layer of underwriting. To my knowledge, PeerStreet is the only other platform that operates in this way, but they're focused exclusively on single-family fix-and-flips. PeerStreet is a platform with some similarities to RealtyShares and EquityMultiple in that, you need to qualify as an accredited investor in order to participate in their investment opportunities. One nice aspect of the PeerStreet platform is that they have a minimum investment amount of $1,000 in order to open an account – so even though you may have money as an accredited investor, you don't necessarily need to commit such large amounts to each deal you invest in. More than $500 Million has been invested through the PeerStreet platform since its inception. More than 1,200 investments have been funded on the PeerStreet platform since its inception. PeerStreet also has an interesting “Automated Investing” feature that allows investors to get allocated into loan investments automatically based on their investment criteria (and it's also a simple way to build up a portfolio of investments). When a loan investment becomes available that matches an investor's given criteria, they'll receive an allocation based on PeerStreet's prioritization algorithm. To date, PeerStreet has focused 100% on first position liens on real estate. In other words, money invested through PeerStreet goes into the safest place in the capital stack, because it's the first position to be paid back. Rather than sourcing loans from borrowers, they work with existing private lenders across the country who know each local real estate market. PeerStreet vets them and their loans, which helps them scale while maintaining quality. RealtyMogul is similar to Fundrise in that, this platform has pivoted towards offering funds that combine multiple real estate properties into a single investment product, a similar concept to the real estate investment trusts (REITs) that existed since long before the JOBS Act. These REITs offer built-in diversification, which may make sense for investors that lack the time, knowledge, or means to spread their investment dollars across specific properties and markets. On the other hand, some investors may be turned off by the lack of transparency. These platforms typically make more sense for non-accredited investors looking for built-in diversification at a very low minimum. The company also offers some investment opportunities for individual properties (for accredited investors), in addition to the REIT funds they have available (for non-accredited investors). RealtyMogul began operating in 2013. RealtyMogul has over 140,000 total investors registered with their platform. At the time of this writing, RealtyMogul has multiple REIT products available – and you don't need to be an accredited investor to participate. However, the minimum investment amounts range from $5,000 – $10,000, so you'll have to commit at least this much in order to start investing with them. One thing that differentiates RealtyMogul from other REIT providers is the higher level of voluntary oversight and regulation than other companies with similar offerings. They physically walk every property, have a more conservative underwriting process and evaluate every deal from scratch, regardless of what information has been pre-packaged for their underwriters. It's exciting to see how these online platforms are making the world of real estate investing more accessible to investors who otherwise wouldn't be able to play in this space. At the same time, there’s still plenty of reason for each individual investor to proceed with caution. Above all, it’s important to note that not all platforms are created equal, and these real estate crowdfunding websites have separated into different investment product lines since the JOBS Act was passed. No matter how offerings are structured, investors should carefully consider the relevant experience and expertise of the people behind the organization. Any real estate platform worthy of your investment dollars should be transparent, attentive, and able to declare a strong case for any particular offering. Have you ever invested with a real estate crowdfunding platform? Which one did you use and what was your experience like? Leave us a comment below! Thank you for the crowdfunding list! In your opinion, which company would you invest with? You’re welcome Michael! To date – the only one I’ve actually invested my own money with is Fundrise, and so far it’s been a great experience. Honestly though, I think it just depends on what types of deals you’re interested in (equity or debt, or the eREIT approach) and which platform you’re most comfortable with – not just with the look and feel, but the team behind the platform and how they underwrite and evaluate deals. I really liked the look and feel of RealtyShares, and from the conversations I’ve had with EquityMultiple, they sound like a very intelligent and sophisticated team as well. Not sure if that helps – but those are my thoughts. Best of luck to you! That’s wonderful article on real estate crowdfunding seth. Also you have explained it in detail with videos. Yes crowdfunding is becoming popular these days. Its really good improvement. It will be helpful for the realtors. Again thanks for the valuable post. Very Nice informative article. It’s really useful. Thanks for the post. Thank you very, much, Seth Willams for sharing the post with such information about real estate investment. I am going to bookmark this page for future use. I have got great knowledge from your post. Hi James, I’ll see if I can’t put together some more details on them in the coming year. Thanks for asking!